Home / Blog / Amazon / Amazon Suspension Guide – Amazon Ghost! This book is the definitive must read guide on on how to get back on amazon and start selling again weather you are a beginner or stealth pro. Amazon is and always will be an animal of it’s own. A different level of detail and knowledge is needed in order to tame this beast and keep the sales going! Just as I thought, I picked up a few things that I didn’t know before. And I’m not a newbie! There were a couple of banks and gift cards in there I didn’t know about. That alone makes this worth the money. Using these techniques, a user could get back on Amazon is less than 24 hours. Aspkin’s guides always pay for themselves – not over a period of weeks or months, but DAYS! In many cases, ONE SALE will cover it. Or buy it directly from this page: AmazonGhost.com. 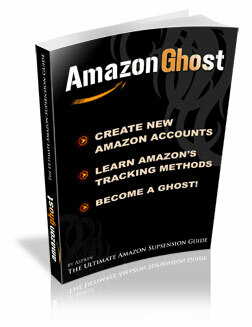 Both options you’ll get Amazon Ghost the ultimate Amazon Suspension guide INSTANTLY! Have feedback? Leave me a comment below. 2 Comments on "Amazon Suspension Guide – Amazon Ghost!" 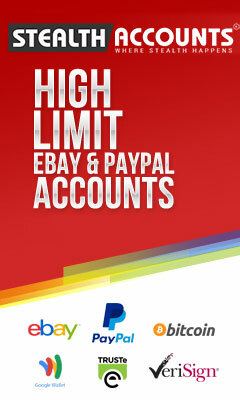 Hi Shawn, please contact me on the forum or by email (support@auctionstealth.com). 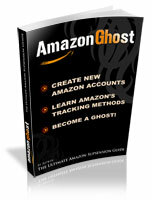 And here are some alternative payment options for Amazon Ghost if you want to try something else.